It’s So thrilling to see the Lord touching people’s lives here on the border! 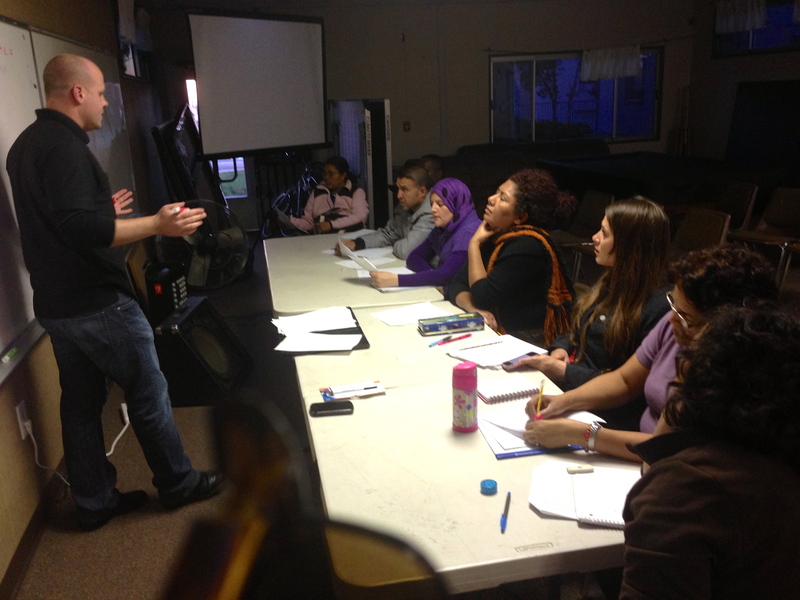 I mentioned in past posts that we’ve been taking Jesus to the streets each week, inviting people to our English class. Vicente and I have been walking the streets in the neighborhood where we hold the ESL class to pass out flyers and to get the word out. We’ve enjoyed meeting new people, and going back to some of the stores and community centers to see that they have our flyers. Many of the parents in the community don’t speak English. When they go to pick their kids up at the school they have an opportunity to take one of our English class ads. The Lord has rewarded our efforts. New people have started coming! It’s so wonderful to see the Lord work through his people. 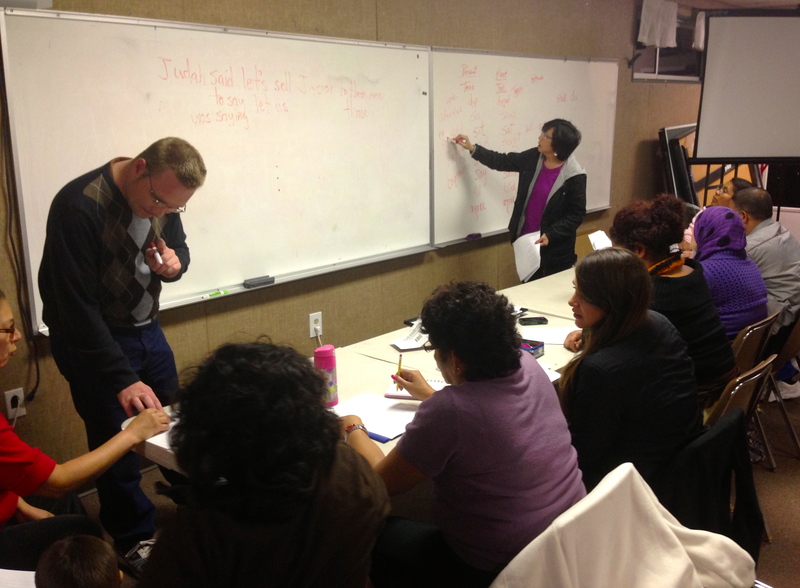 He’s provided more teachers which led us to believe that he wants to grow our ESL outreach. Now he’s starting to bring more students. Immigrants and refugees are coming and they are enjoying the class. It’s fun to watch the Lord at work. When Vicente and I are on the streets, some of the people ask us if we offer GED classes, or citizenship classes. We realize there are more opportunities to minister in the community. I realize one big reason why the Lord is blessing is that many are praying. Thanks so much for standing with us in prayer! Pray with us for wisdom and God’s blessing as we seek to minister in the community. Some of the things we need for this outreach to grow are more people with the expertise and willingness to teach, and more classroom space to hold the classes. People want to be educated! How great is that! I am convinced education Biblically based, is part of the reason our nation is in such a mess. We don’t or haven’t had it. Keep up the good work! I agree, the Lord uses education to enable people to know him better. I think it also helps people to better themselves, which can be a part of whatever we do, we do it for the glory of God! Mission work at home!!! I appreciate this so much. Much love and blessings from an English grad and believer in Conway, SC. Thanks for the encouragement and many blessings to you. This is so exciting and encouraging to see how He is working! Praying with you and believing Him for more teachers and opportunities to meet the needs there! God bless you! WE are excited to be on this great ride with the Lord. It’s like the little mustard seed that is starting to grow. Thanks for your encouragement! Thanks for the encouragement – it’s been a good experience, and I’m so glad I get to do it with others!